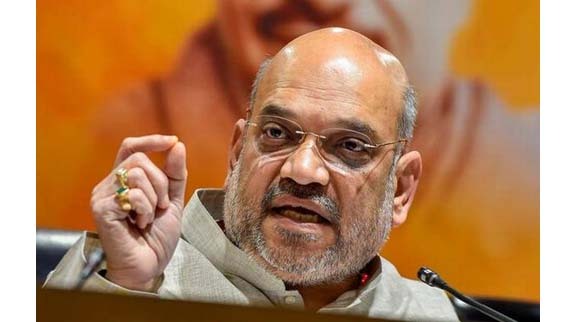 Two militant groups in Manipur have written to the Bharatiya Janata Party (BJP) presidentAmit Shahseeking the party’s ticket for their favoured candidate in the Outer Manipur parliamentary seat. One of the groups, in fact, reminded Shah all that it did for the BJP in the past. The New Indian Express reports that the involvement of armed rebels in elections in the North East has been an open secret. This is, perhaps, for the first time that they have come out openly in support of a candidate. In separate letters to Shah, Zomi Reunification Organisation (ZRO) and Kuki National Organisation (KNO) sought BJP’s ticket for HS Benjamin Mate who is the vice-president of BJP’s Manipur unit. “On January 11, 2019, at a meeting with (BJP leader) Ram Madhav and Manipur Chief Minister (CM) N Biren Singh, KNO’s support by way of two Congress MLAs joining the BJP Government in Manipur and Congress Autonomous District Council (ADC) members of Chandel, Churachandpur and Kangpokpi districts changing over to BJP to form BJP-led ADCs in the three districts was summarily recounted,” the KNO wrote in the letter to Shah. The report further stated that the outfit said in view of Mate’s candidacy, sitting MP Thangso Baite had decided against filing nomination while the national vice-president of Scheduled Tribes Morcha Haokholet Kipgen had withdrawn his application for a BJP ticket. It said Thanglenpao Gaite, who is the chairman of United People’s Front and president of ZRO, had also declared his support for Mate. The ZRO wrote that it would be grateful if Shah could award party ticket to Mate. The group claimed he was the most promising among politicians seeking ticket. Both KRO and KNO are Chin-Kuki (tribe) rebel groups which have been in a peace mode for the past few years following their signing of “suspension of operation” agreement with the Government.